Relive that spine-tingling scene from the original Star Wars trilogy! 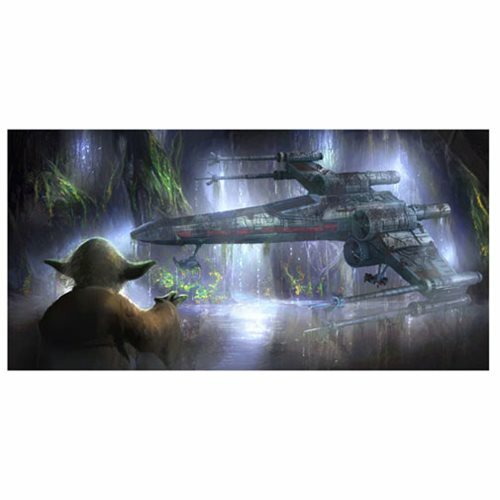 This Star Wars Yoda Energy Surrounds Us Canvas Giclee Art Print features an image from Star Wars where Yoda teaches Luke that size matters not. This fantastic giclee by artist Joel Payne has been printed on canvas measuring 14-inches tall x 28-inches wide. A limited edition of 95 hand-numbered and signed pieces! Ages 13 and up.